John Sisk & Son, Ireland’s leading provider of construction services with extensive operations across Ireland, the United Kingdom and mainland Europe, has announced the winners of its Supply Chain Awards for 2018.
also confirmed it has a total of 5,000 approved and active suppliers and subcontractors on its system. Commenting after the ceremony, Stephen Bowcott, CEO, John Sisk & Son, said: “The Sisk Supply Chain Awards for 2018 was a great success. It is great to see our team carry on the momentum of last year’s inaugural awards. The event was a fantastic opportunity to further build on the strong relationships we have with our Supply Chain partners across our business, and to recognise and acknowledge the excellent performance, commitment and dedication shown by our supply chain partners across Sisk projects. 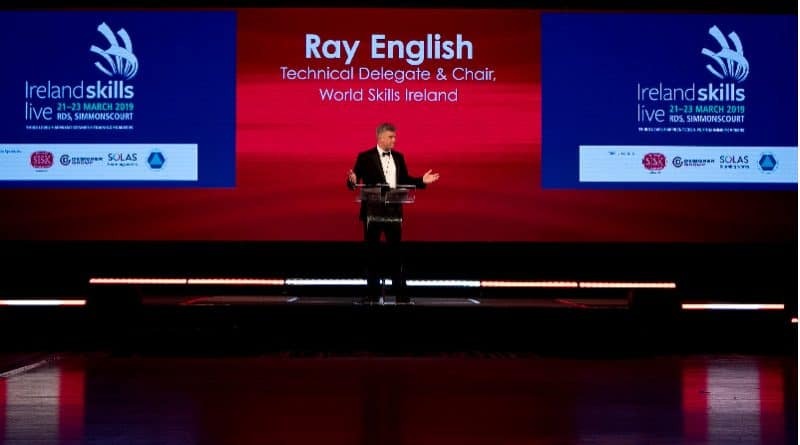 The awards ceremony held on Thursday 29 November in Dublin was attended by approx. 500 people and raised money for Focus Ireland and Shelter UK with donations from guests and the company. Irish comedian Colm O’Regan, was Master of Ceremonies. Everglade in the UK; Ardmac in Ireland; and Premier Electrics in its European business.